This NLP Course takes the skills and knowledge that you gained in the Foundation and Practitioner Basics courses to a new level, culimating in becoming a Certified NLP Practitioner. This 3-Day NLP course will take you beyond the basic skills and building blocks discovered in the previous courses to explore classic NLP techniques such as Fast Phobia Cure, Visual Squash, 6 Step Reframing, and various other fascinating approaches. It is the third and final step to becoming a Certified NLP practitioner. The certification process is an empowering and fun experience that also requires a high level of commitment and interest to reach for heightened human excellence. Upon successful completion of this course, you’ll become an accredited NLP practitioner. With the mastery of NLP attitudes, methodologies and techniques achieved through this course you’ll gain an invigorating outlook and new confidence in what you can accomplish at work. You’ll work comfortably and effectively with others, enjoy higher levels of productivity and creativity, and embrace new challenges. 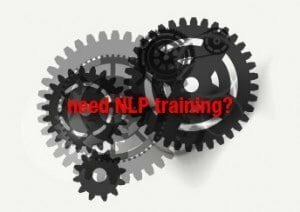 Upon successfully completing this course, you’ll discover that integrating NLP will have a profound effect on your personal life. You will have new choices that will help you to be more effective and gain greater satisfaction in the areas of your life that are the most important to you. Change any experience by changing the way your senses perceive the experience. Communicate your message effectively to anyone. Understand challenging relationships and how to improve them. Quickly cure phobias through NLP techniques. Solve internal conflicts and dilemmas, and move forward. Explore unconscious signals, and changing beliefs and habits. Critically evaluate the shared results of fellow delegates’ modelling projects. Demonstrate you’re effective with a day of supervised coaching, enabling you to integrate the skills and techniques you have learned, so you can apply them successfully. To achieve certification you need to complete the NLP Foundation, NLP Practitioner Basics and NLP Practitioner Accreditation courses together with a modelling project. In addition you need to complete a practitioner license application form. Certification is awarded to those who show behavioural mastery of the NLP skill set at the completion of the NLP Practitioner Accreditation Course. The responsibility for reaching mastery is based on an agreement between the course facilitators and the students to always do their absolute best, and then go a little further! The trainer’s role is to guide people into mastery of NLP through an accelerated and experiential learning process, but please be aware that while certification is not difficult it is not automatic.